Arlen Fosburgh Sr., 79, of La Porte, Indiana passed away Friday, January 25, 2019, surrounded by his loving family. Arlen was born March 19, 1939 in Madison, Wisconsin to Cecil James and Grace Marie (Chilson) Fosburgh. On October 18, 2014 Arlen married Teresa Meeks who survives. Arlen was the owner and operator of B & E Mini Mart in Union Mills, Indiana. He was an Army Veteran serving in the Vietnam War. 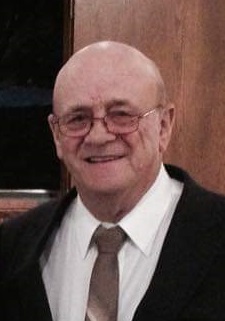 Arlen is survived by his wife, Teresa; two daughters, Cynthia (William) Smith of Kingsford Heights, Indiana and Rene’ Fosburgh of Michigan City, Indiana; a son, Arlen (Jennifer) Fosburgh Jr. of Pocahontas, Iowa; 11 grandchildren; three great- grandchildren; a brother, Jimmy; five sisters, Karen, June, Marsha, Mary Beth, and Vonnie; three step-daughters, Jodi Stone of Michigan City, Indiana, Kelly (Travis) Richardson of Wheeler, Indiana, and Jamie Bradford of Marion, Illinois; six step-grandchildren; his dog, Oscar; and his birds, Sidney and Joe the bird. He was preceded in death by his parents; five brothers; and one sister. Services will be at a later date. Frank L. Keszei, Essling Chapel, 1117 Indiana Avenue, La Porte, Indiana in charge of arrangements. Prayers, condolences, and memories may be made to the family at Essling Funeral Home.com.